Jason Sandberg is the author of the children's book, Candy and the Cankersaur. He was kind enough to answer a few questions on his book, ebooks, and the state of children's literature. In the literary world, successful children’s book authors can often fly under the radar. What made you decide that this genre was the one for you? I’m principally a painter, so I’m usually depicting these frozen moments in time. I had the desire to create narratives that flow through time, to depict a beginning, middle and end. I was lured to Picture Books because they presented the opportunity to combine storytelling with illustration. I already paint in a variety of styles, so the restless part of my personality enjoys the cartooning involved in Picture Books. With e-readers increasing in popularity and prominence, was it a conscious decision on your part to publish this book electronically? Additionally, have you found that parents are searching for quality material to share with their children, on these devices? Excellent observation! I foresee that tablets and e-readers will bring about a Renaissance in Picture Books. Bedtime reading is a very different experience when you can turn off all the lights in the room and read to a child on a gently glowing screen. Smart parents will also see the value in carrying a multitude of Picture Books on an e-reader, which will make car trips and doctor’s office waiting rooms more pleasant. I expect this to yield a demand for quality content. The e-reader/tablet should also help comics and manga flourish. On a related note, how do you feel that e-readers have both positively and negatively affected the literary world, and how will they determine the relationship that young readers have with books? The technology will continue to divert revenue from brick and mortar retailers, reducing the number of bookstores. But bookstores won’t disappear because they serve a socializing function and provide an opportunity to browse. Having worked in a bookstore I know that under the old model a new book had a mere 90 days to prove itself before it was shipped back to the publisher. Under the new model an eBook is “on the shelf” forever, it has plenty of time to find an audience and I believe that quality eventually wins out over hype. Before reading Candy and the Cankersaur, I was unaware of the name, Syd Hoff. Upon a quick search of his name, I realized that he was responsible for some of my favorite childhood characters, especially Danny and the Dinosaur. Can you speak about the influence his work has had on your own, and give us a bit more insight into your process of creating a book? I’m glad I helped bring back some fond memories! I think that picture books can be the seed for a lifelong love of reading. Syd Hoff always put a smile on my face, so I wanted to honor his classic Danny and the Dinosaur. When I create a picture book I aim to make something that everyone can get a kick out of. I try to slip in things to make adults/parents laugh. Beginning readers often get attached to certain books and want them read over and over and over... I view quality as the ability of a book to hold up under multiple reads! 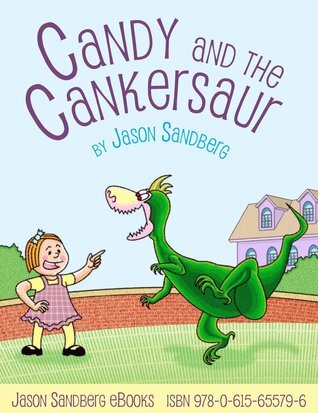 Beneath the surface of Candy and the Cankersaur, you manage to present topics that go a bit deeper than the story of a girl and her experience with a dinosaur. Particularly, there are lessons about the importance of strong relationships versus material possessions. How important is it to you, as an author, to ingrain your work with this deeper meaning, and how do you manage to make these topics accessible to a child? Storytelling is a fundamental aspect of human nature. Humans pass along knowledge and culture through story and myth. Lessons and greater truths are memorable when they’re wrapped in a good story. When crafting a children’s book the strategy is to show rather than tell. Finally, I always like to ask authors which books they’ve recently been enjoying. What are some of the books that you are currently reading or have recently read? I’m currently reading “Antifragile” by Nassim Nicholas Taleb. The book is a multidisciplinary exploration of systems that gain from healthy stressors. Antifragile systems thrive on trial and error because the harmful results from mistakes are discreet and contained. I also enjoyed Grant Morrison’s recent run on Action Comics. That was a fun roller coaster ride! Thanks so much for taking the time to answer these questions! Please let the readers know how we can follow you and your work, and feel free to say anything else that you’d like to. 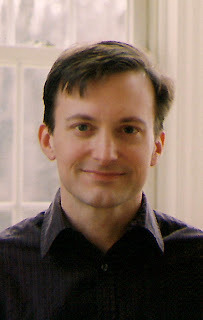 Dan Brown reached commercial and critical acclaim when he released his controversial and entertaining novel, The DaVinci Code. In the book, he combined combined a fast paced thriller with elements of ancient European history, making controversial conjectures about the Catholic church in the process. 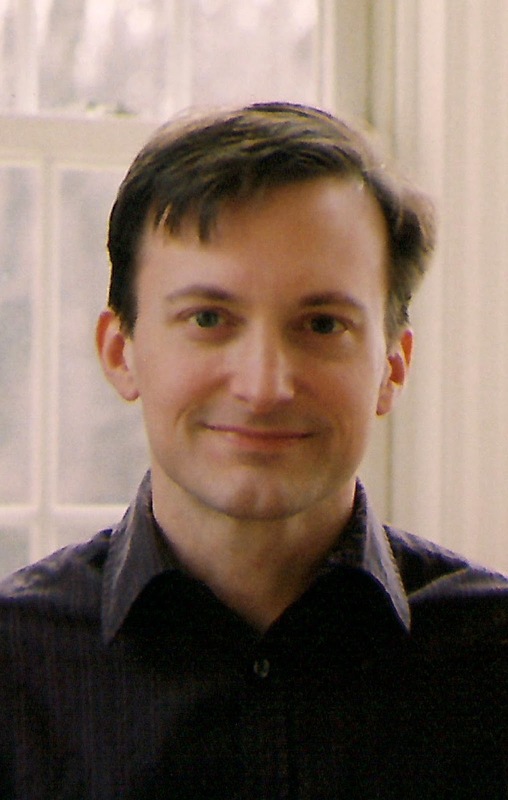 Brought together by his character, Harvard symbologist Robert Langdon, Brown gained an instant following and was regarded as an author at the top of his game. But then the third novel in the Robert Langdon series, The Lost Symbol, was released, and Brown's star seemed to have faded. Gone was the tight pacing and seamless integration of historical details. The Lost Symbol, while commercially successful, seemed like an example of an author going through the motions. The convoluted plot and unnecessary tangents of American history, really fell flat, paling in comparison to the previous two installments. With the memory of The Lost Symbol still fresh on my mind, I was cautiously optimistic that Inferno, the fourth and latest Robert Langdon novel, would be an improvement. The novel sees Langdon return to Europe, this time finding himself in Florence. There is only one problem . . . he has no idea what he is doing there! As the novel begins, Robert finds himself in a Florentine hospital bed. Suffering from amnesia, Langdon has no recollection of the events leading up to his current situation, but he is haunted by the image of an elderly, white-haired lady who seems to be suffering in a fiery cave. The action is kicked into high gear when a menacing Goth woman, think Lisbeth Salander from The Girl With the Dragon Tattoo, breaks into Langdon's hospital room, killing his doctor and leaving Langdon and the beautiful Dr. Sienna Brooks running for their lives. Now, Langdon must rely on his unique intellect to rediscover his actions of the last day and to escape the assassins who threaten his life. After the disappointment of The Lost Symbol, Inferno marks a return to form for author Dan Brown. Like the previous novels there are moments of unbelievability, but Brown deftly makes up for these narrative shortcomings by keeping the pace moving and the historical information flowing. 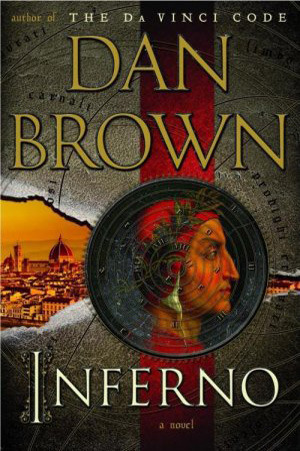 Brown builds his story upon the classic Inferno by Dante Alighieri, taking Langdon and Brooks through his own modern circles of Hell. By returning his focus to Europe's rich and mystical history, Brown crafts another thriller that is as equally smart as it is entertaining.